Music is a powerful emotional tool. It can deliver a message, stir up an emotion, or evoke entire images. Iconic pieces of pop culture media are accompanied by music. If I say Jurassic Park, I’ll bet that most of you just started humming John Williams’ score to yourself (and if you didn’t before I mentioned the theme, you are now). Metal Gear Solid’s game over screen is synonymous with the musical stinger that accompanied it. Anytime I accomplish something I feel the desire to jump up and do the Final Fantasy VII victory theme. Scientifically, our memory for sounds is far worse than that of imagery, so why do these particular themes stay with us? Science has shown that emotion can be one of the most powerful memory recalls humans have. A great piece of music instills an emotion tied with imagery and we distinctly remember things like Otacon shouting “Snaaaaaakkkkeee!” while “Game Over” streaks onto the screen and that iconic piece of music plays. Moss beckons to a part of the soul that video games traditionally don’t, and it does so through powerful and dynamic music. 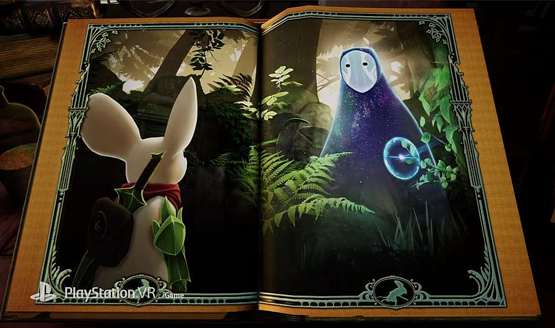 That’s not to say they aren’t incredibly emotional games out there, but through the magic of VR, Polyarc managed to capture a sense of immersion and a kinesthetic bond with a tiny mouse hero. Where most games provide a sense of role playing, of becoming the character, Moss invites you to literally step into its world and become Quill’s guiding hand and friend. A large part of that was done through the amazing audio work by Audio Director Stephen Hodde and Composer Jason Graves, though the collaborative environment at Polyarc ensures that everyone shares in the credit. Jason Graves and Polyarc released three tracks from the Moss soundtrack this week, including the haunting song “Home to Me” featuring singer Malukah that Graves says is the DNA of the rest of the soundtrack. In preparation for this release, we got the chance to ask the storied Graves about his work as a composer, writing music to VR, and what drew him to to Moss, Quill, and working with the Polyarc team. PlayStation LifeStyle: You’ve worked on a lot of games, movies, and TV shows. How does your process for writing music differ between interactive and non-interactive media? Jason Graves: There are two aspects to consider that make a difference between linear and nonlinear, or interactive and non-interactive music. 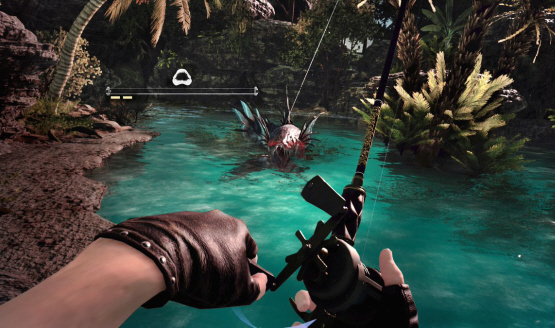 The first would be implementing the music in the best way possible so as to underscore the emotional core of the game as the player is experiencing it in real-time. The second would be keeping it as varied and non-repetitive as possible. These are truly nonlinear, interactive concerns since movies and TV are a very traditional, linear format. Moss is a VR game, and you’ve worked on a few other VR projects. Does virtual reality change how you approach writing the music for a game? There is definitely a third aspect during the creative process when writing for virtual reality. This really has to do with the spacial placement of music in the 3D field, particularly if you are using something like diegetic music. It could also apply if the music is an essential part of the gameplay, such as a music-based game or something which has musical instruments that you interact with in a virtual world. Of course, it can also be implemented the same way it would in a non-VR game. Ultimately it has everything to do with the content of the game, its overall aesthetic and the role that music plays to support the gameplay. In Moss, a large part of the charm comes from Quill’s connection to the player. How did you capture that emotional bond in the music? In a way the music wrote itself…anyone who plays the game will instantly fall in love with Quill. Polyarc worked hard to make that emotional bond feel natural. My job was to simply score the game from Quill’s perspective. Moss is a grand adventure at a miniature level. What techniques did you use to elicit the feeling of a tiny, yet grand adventure? I wanted to make sure the music seemed as alive and real as the amazing characters and environments Polyarc has created. I also love the sense of scale and space the player experiences in a VR world that has been given so much loving detail. So my first thought was to use instruments that would convey Quill’s size – all very small yet dynamic instruments capable of many different kinds of expression – violin, flute, oboe, and harp. How closely did you work with Polyarc during the development of Moss while writing the soundtrack? Very close! We had many meetings and lots of brainstorming both in person and over the phone. I definitely spent most of my time with Stephen Hodde, the audio director, after my initial on-site meeting with Polyarc. We passed ideas back and forth, including music and sound effects snippets, and really spent time trying to find the best aural backdrop for such a grand adventure. How do you make sure that the music meshes well with the other sound effects in the game? That’s something that can only be done in cooperation with the audio director, Stephen Hodde in this case. If he had any sound effects he was working on before I started the music he would send them to me and I could get a very real sense of what the Final Mix would sound like. I did the same, and I know there were times where he pitched the sound effects to be in the same key as the music. And I did the same with the music if I heard the sound effects first. It’s amazing how easily things can mesh together when something as simple as that is done ahead of time. What drew you to Moss as a project you wanted to have in your credits? I’m a huge animal lover and have quite the extensive farm. I was instantly taken with the world of Moss, even from the very beginning when only given a few sketches of some of the characters. The more I discovered of the world, the more I knew I had to be part of it. Moss takes players on a rollercoaster of emotional moments and interesting locations. How did you create a different musical feel for each moment and area while maintaining a tying theme for the game’s music? Are there any interesting or unconventional sounds, instruments, or recordings that you used or made while writing and recording the Moss soundtrack? Nothing terribly unconventional, though it was the first soundtrack I was able to play my Hammered Dulcimer on! I bought it 4 years ago, hoping that something would come around and feel like the right time to use it. Actually, now that I think about it, the same thing goes for my ukulele. I guess that could be seen as unconventional, given that people don’t normally think of ukulele when they think of the woods, forests, or mice for that matter. The end of Moss not only leaves things open, but almost directly implies there will be another game. Is that a project you’d want to come back for, and how would you approach evolving the music you already did in Moss for the next game (assuming there is one)? This is has been a truly epic journey for me in every sense of the word and I would love to dive back in and pick up where we left off. Honestly, I can’t say how I would approach anything given that so much of my inspiration comes from the game itself. I would definitely have to see how the story unfolds and would love to learn what Quill does next. We’d like to thank Jason Graves for allowing us to take some of his time to talk about the Moss soundtrack. Next week we’ll have an interview with Moss Audio Director Stephen Hodde about the immersive sound design that went into the game. If you own a PSVR headset and haven’t yet picked up Moss, our review tells you why it’s the PSVR game you need to play right now. If you have yet to jump on board with PlayStation VR, Sony just dropped the price by $100, so there’s never been a better time to pick one up.